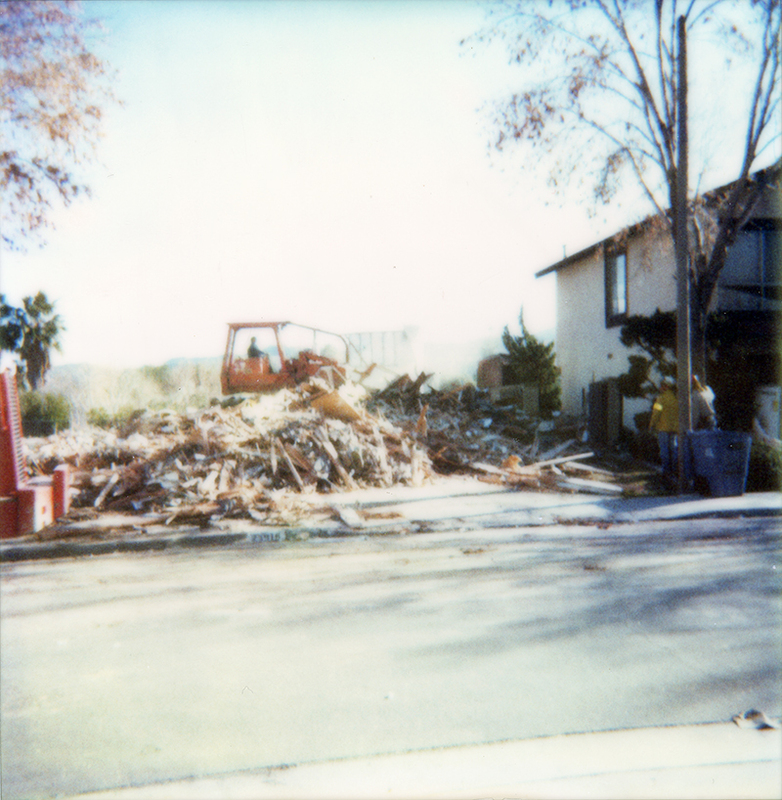 SCVHistory.com LW2810 | 1994 Northridge Earthquake | Demolition of 23918 Via Onda, Valencia. 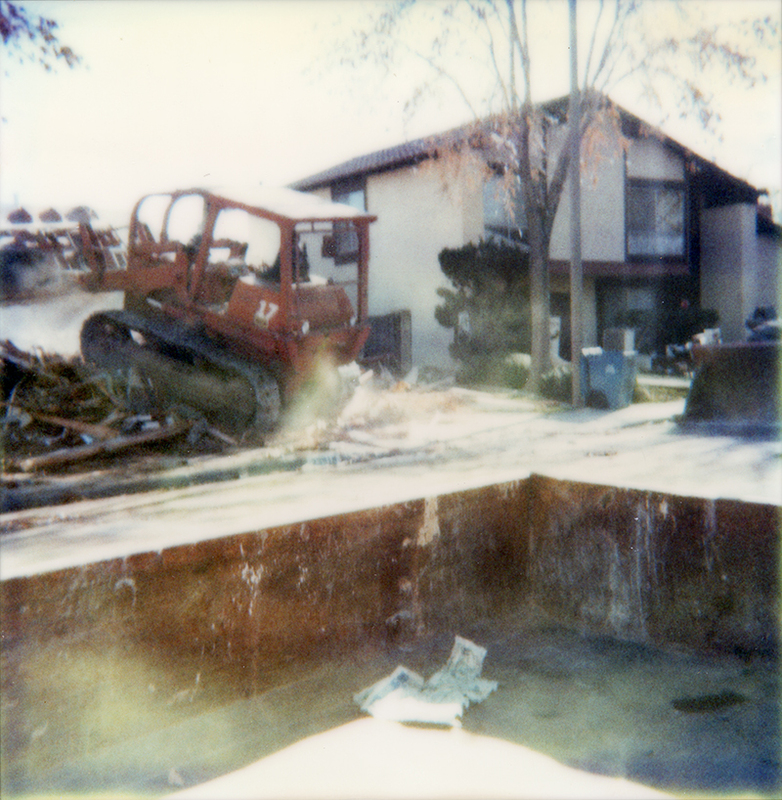 1994 — Demolition of the Cronan home at 23918 Via Onda. 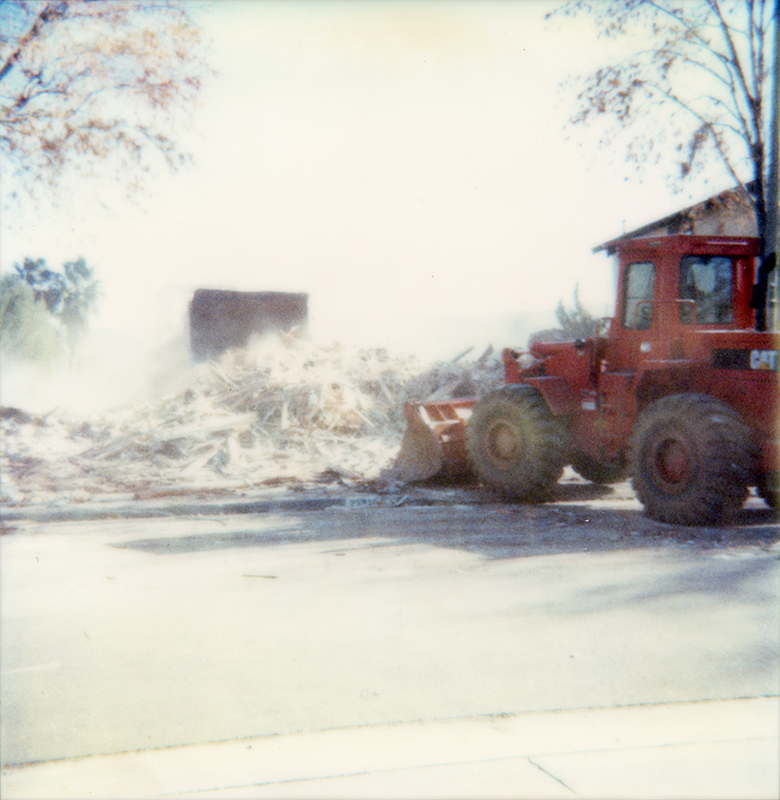 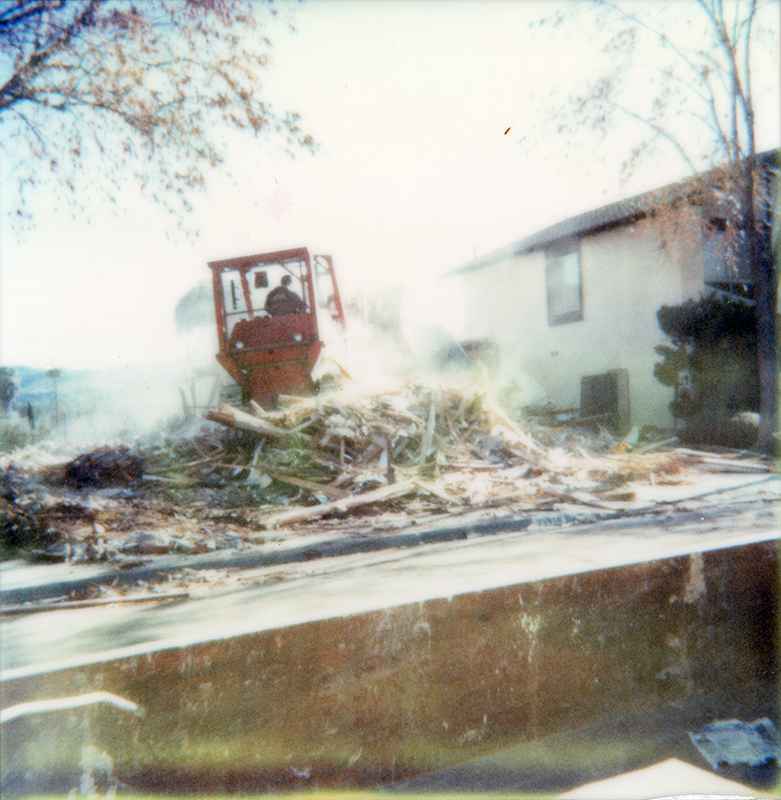 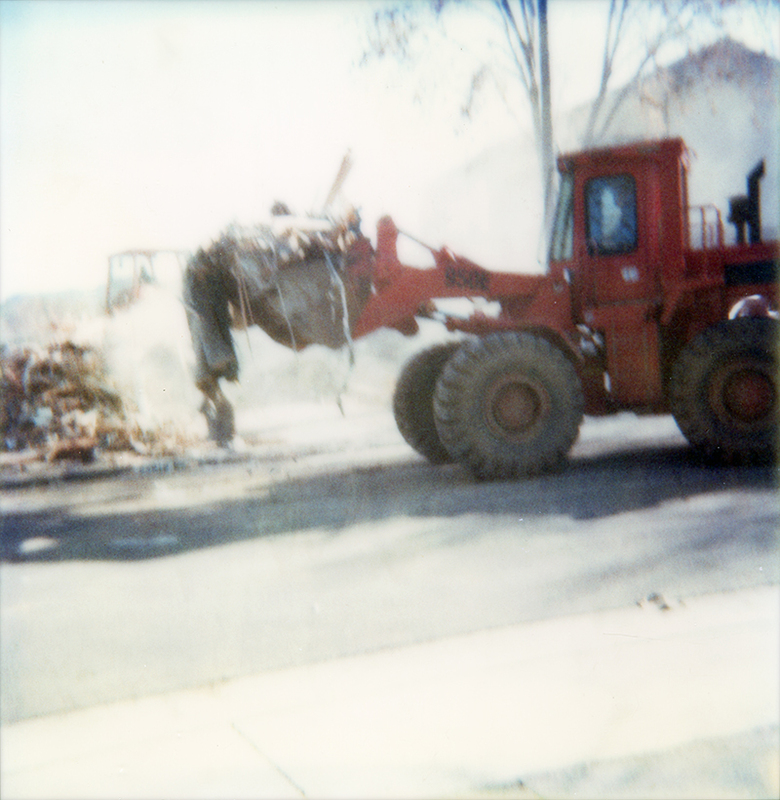 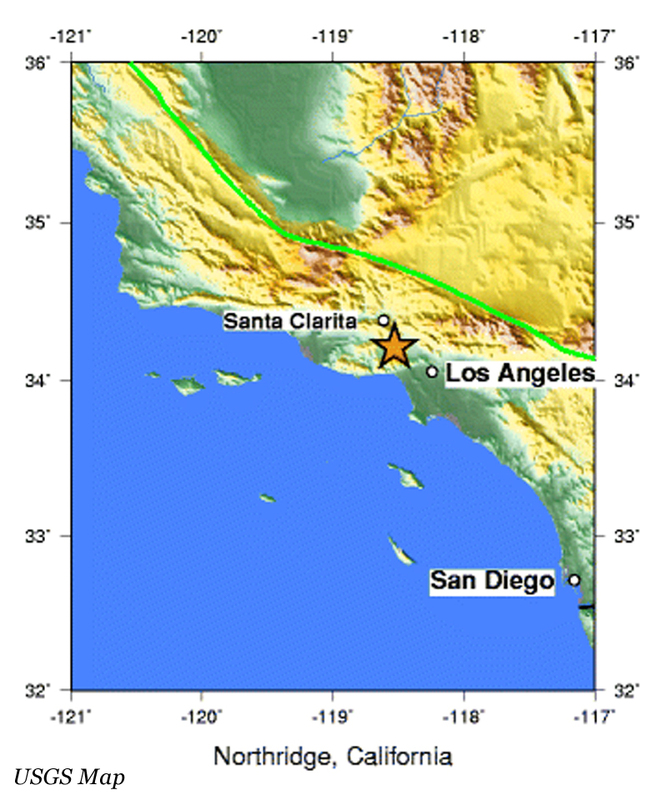 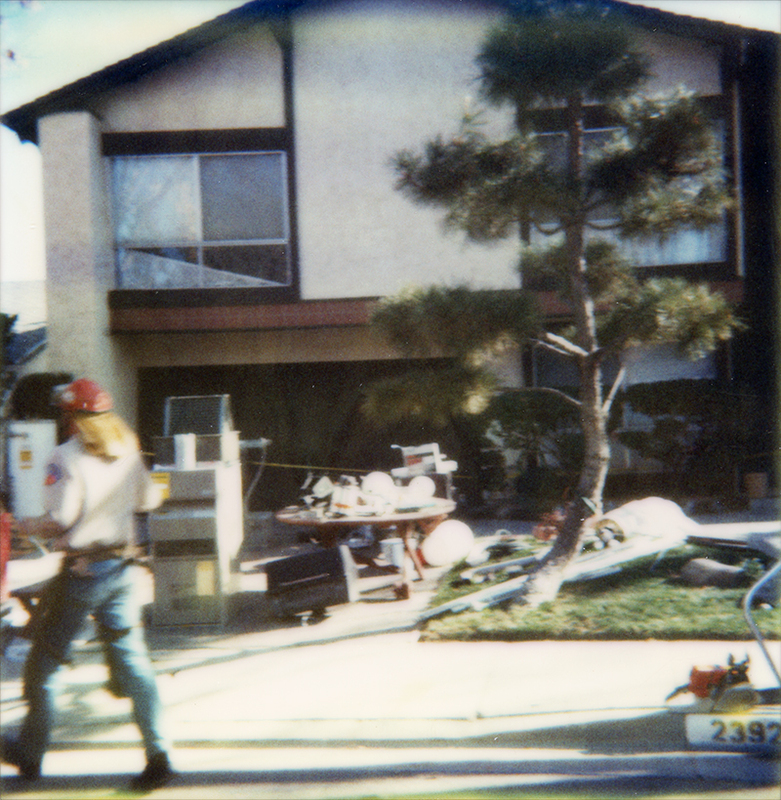 The one-story house was destroyed in the 1994 Northridge earthquake. 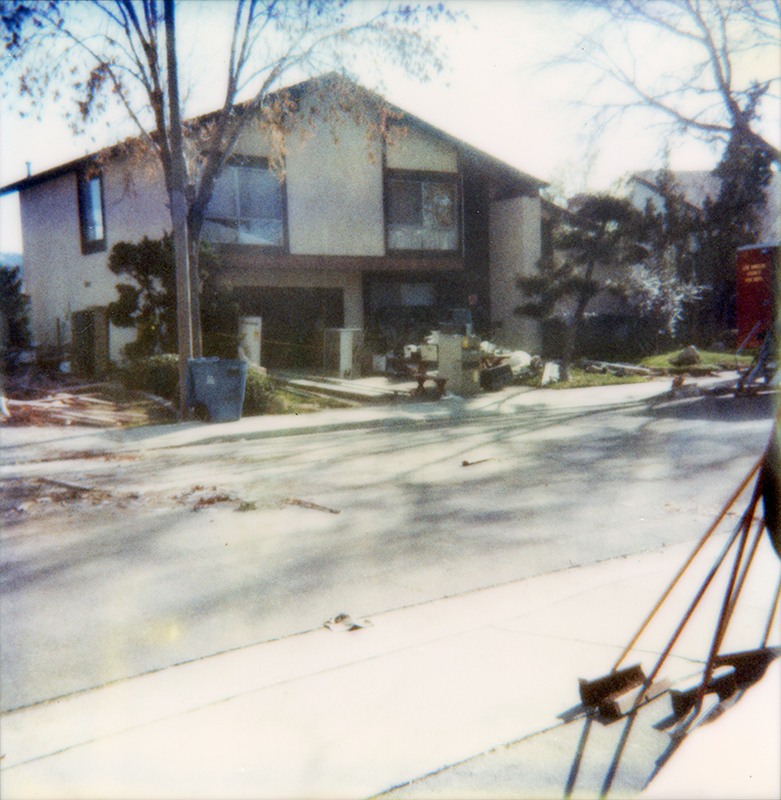 The standing two-story house to the right, seen in some of the photos in this series, is the home of Connie Worden-Roberts at 23924 Via Onda. 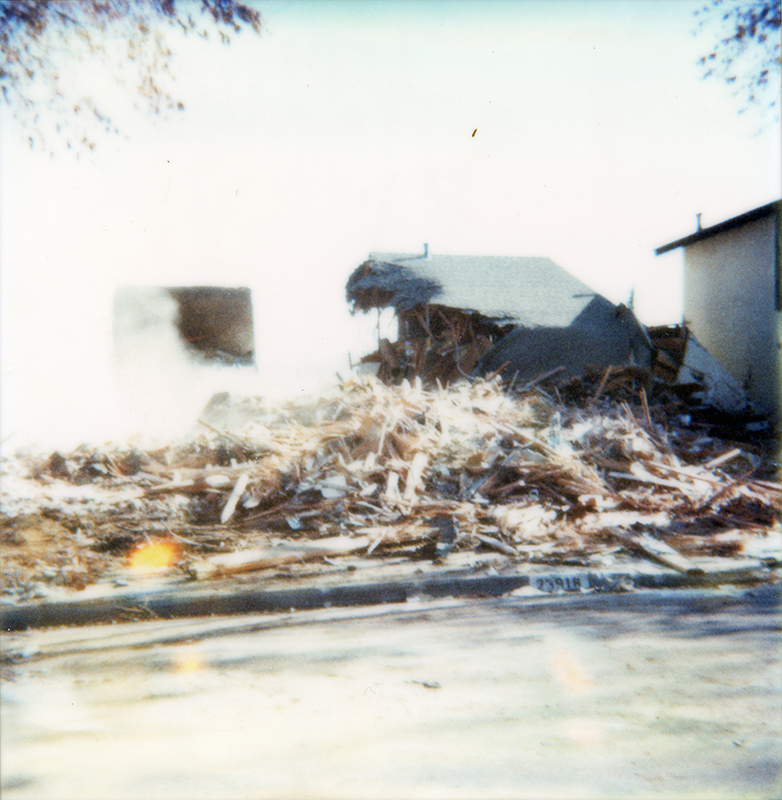 It, too, was a total loss. 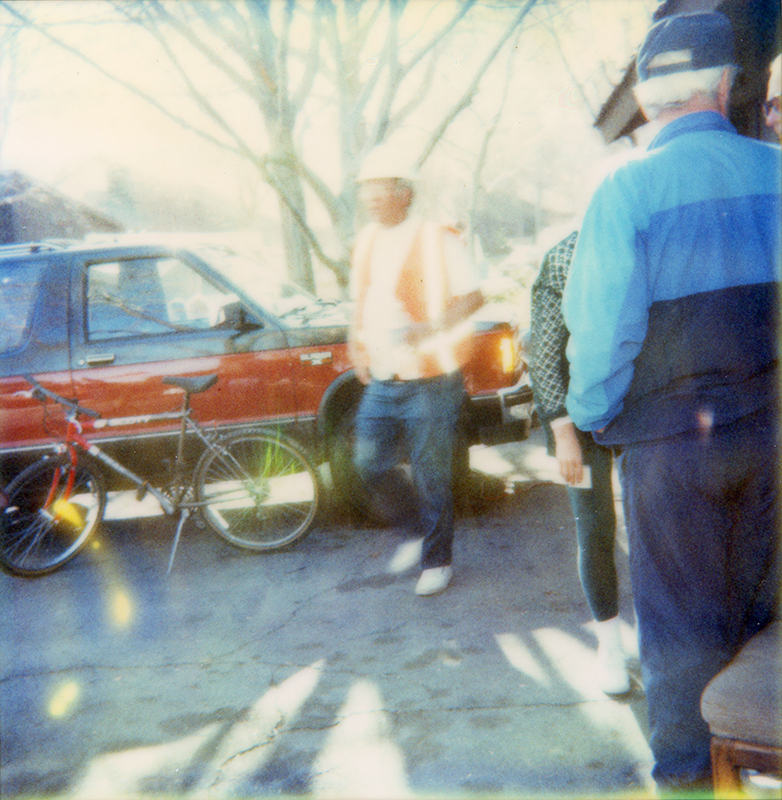 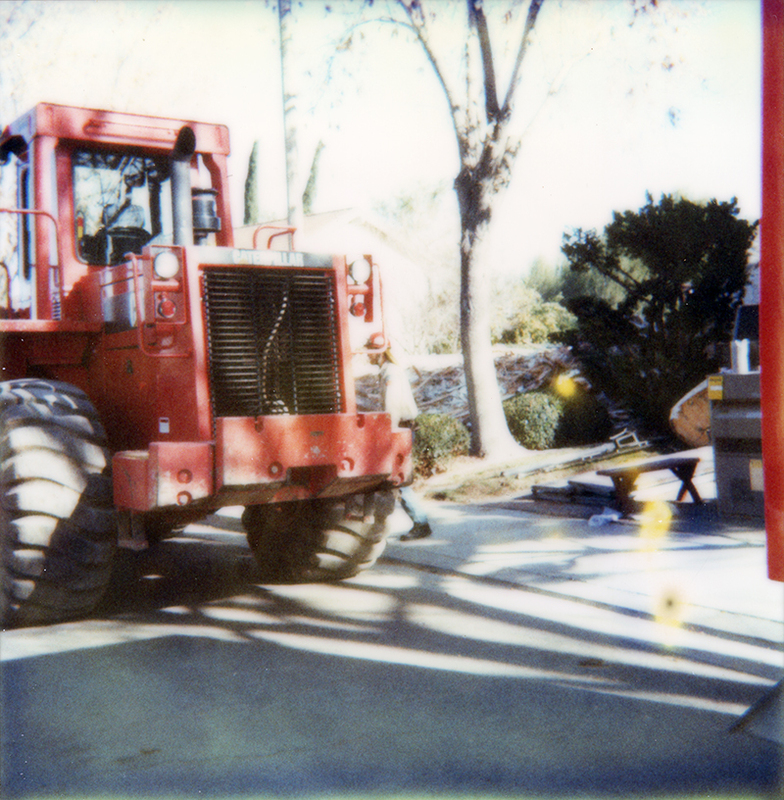 9600 dpi jpegs from 3x3-inch Polaroid prints | Collection of Connie Worden-Roberts.